My daughter and I chose to celebrate her graduation and next chapter with Carmen’s Create A Life You Love Retreat. CALYL was magical, emotional, spiritual, cultural and pivotal for Amanda and I. Can’t even say enough about the combination of spiritual, physical, and cultural growth it gave me. I would attend this retreat again and recommend it to anyone young, old, male or female – in Bali or even in another place. The content and immersion in culture of the land was a perfect blend of self growth and adventure. The CALYL retreat is relevant, insightful, and tons of fun! I decided to go because I felt a little lost and wanted to move forward purposefully. I left with tools, personal guidance, and beautiful friendships. This retreat changed my life! I knew I needed it, and I was so right. If you think it might be right for you, I bet it is! Carmen is a kind and helpful leader, living life true to herself. She’s a beautiful, inspiring example. I’m so glad I went to CALYL 2015 – I’m now more thoughtful and purposeful about my choices. My life is more consistent with who I am, and I’m so grateful for that! I had the incredible opportunity to participate in the Carmen’s Create A Life You Love Retreat 2015 in Bali. My initial goal was really to help me find myself, learn to be myself and to structure the next few years of my life to a healthy lifestyle. And of course, take time for me and experience the adventure of a long overseas trip alone. I’m so proud and grateful today to have accomplished this great adventure, a unique and rewarding journey, with the colors of a dream! Carmen is a pure source of inspiration, with a gentle personality and equally energetic. I didn’t fly all the way to Bali to play small – I threw myself in 100% and was rewarded with daily insights, inspiration and love. I laughed, I cried, I explored, I let go. You can’t experience this anywhere else in the world – trust the process and you’ll be amazed at the person you become on the other side! Carmen lives what she teaches – she is authentic, empowering and generous. CALYL changed my life and I am forever grateful to Carmen for showing me a different way to live. I can’t thank you enough for creating this retreat, for gently guiding me along the way, for making it a safe space to fall apart and for believing in me when I didn’t believe in myself. Thank you. Going to Bali for Carmen’s retreat truly changed my life. The experience of making time for myself, in the peacefulness of Bali away from both the distractions and routine of life, all under Carmen’s guidance, yielded undeniable growth. Carmen is amazing and truly a gift. Her commitment to you on the retreat and beyond is genuine. I made friends I will have forever and created a life I love and can be proud of. Sure Bali was beautiful, but Carmen is priceless…Thanks Carmen! Never having attended retreat before, I really didn’t know what to expect. What I walked away with was a renewal of my life goals, a smile on my face knowing I was on the right path, and a real sense of achievement for making it through 8 days of something totally out of my comfort zone. I also made some wonderful new friends from around the world after sharing our hopes, goals, and dreams together. CALYL is a unique and powerfully effective retreat — with a comprehensive system that you can apply to all area’s of your life. And, it had all my favorite things — international travel, connection with inspiring and interesting people, yoga, swimming, adventures and lots of dancing (YAY!) all the while connecting to the deepest part of myself and my desires. I had so much fun. And, to top it off, Carmen Marshall, is truly one of the coolest, truly successful and most authentic people I have ever met! It was an absolute honor to spend 8 whole days with her. I am overwhelmingly thankful for the opportunity that Carmen’s CALYL Retreat gave me, and that I chose to take the leap of faith and go! It was safe, enlightening, super joyful and challenging. It was full of the most amazing, caring, inspiring and supportive people — each exploring and sharing their own journeys to fulfillment. Think warmth, friendship, sunshine, dance, yoga, meditation, deliciously healthy food, connection, openness, tears, laughter, peace, relaxation, creation and FUN. And in a place that has to be FELT and experienced to be believed. What are you waiting for? I’m in for next year! It was a “Wow” experience. Every day, every moment was like “Wow!! Unexpected. I do not regret it and certainly I would do it again! No question. ;-) Carmen’s Retreats are the best of the best! If you’re looking for a personal development seminar or a life-changing retreat, this is it. Don’t let distance, fear or excuses stop you – this is your life and it and you are so worth it! This was the best thing I could have done for my life. I am so grateful to Carmen for such a life changing experience! From the moment I signed up, before I ever stepped foot in the magical land of Bali, my journey began with Carmen’s FUNwork of books, music, inspirations, dance & exercise. The 8 days in Bali were more transformational! Carmen taught me how to define my passions & life’s purpose. She has empowered me to bring those methods home and put them into immediate action. Carmen is inspiring & soulful, but most importantly she speaks from the heart in such an authentic way. I am truly thankful for the CALYL Retreat process, it has brought so much abundance, peace & connection into my life. Over the past 4 years, I’ve watched myself and my life morph into a truer version of who I really am and want to be. Working for Carmen has given me the opportunity to learn from someone who lives and breathes what she teaches. She is a true way-shower, someone who blends a thriving business with a passion for personal growth and adventure. Being around Carmen is truly the best way to learn how to genuinely create a life you love and a life that works. She inspires everyone around her to become better, more positive and proactive. I am so thankful for her mentorship, her leadership and the radiance she brings into my life. 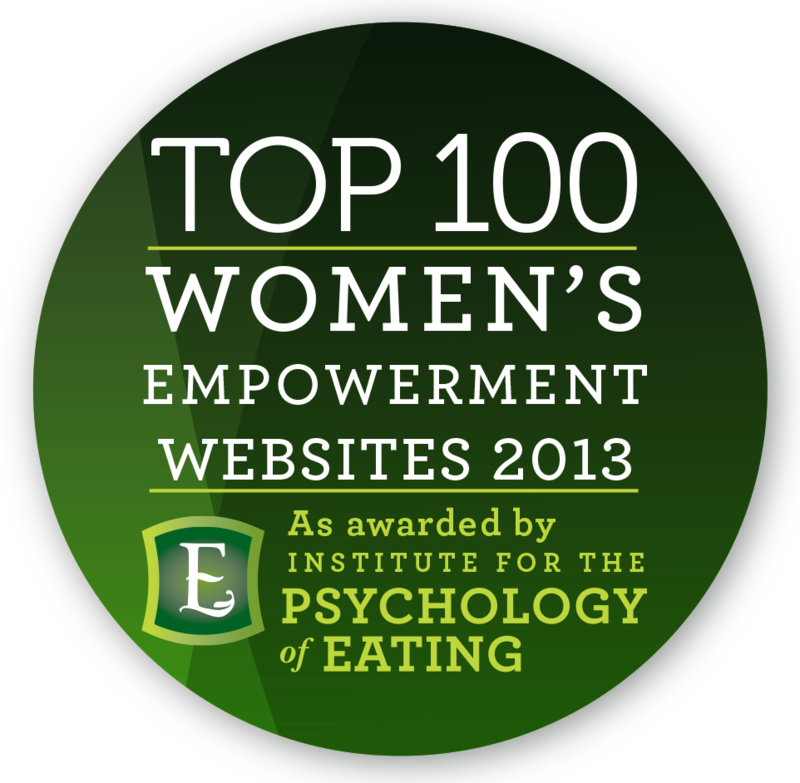 In Fall of 2013, Carmen was awarded 100 Best Women’s Empowerment Websites for CarmenMarshall.com, LiveWellInternational.com, and SexyFitNutritionChallenge.com from the Psychology of Eating, the world’s leading school in nutritional psychology who focus on providing students and professionals with a certification in Dynamic Eating Psychology and Mind Body Nutrition.